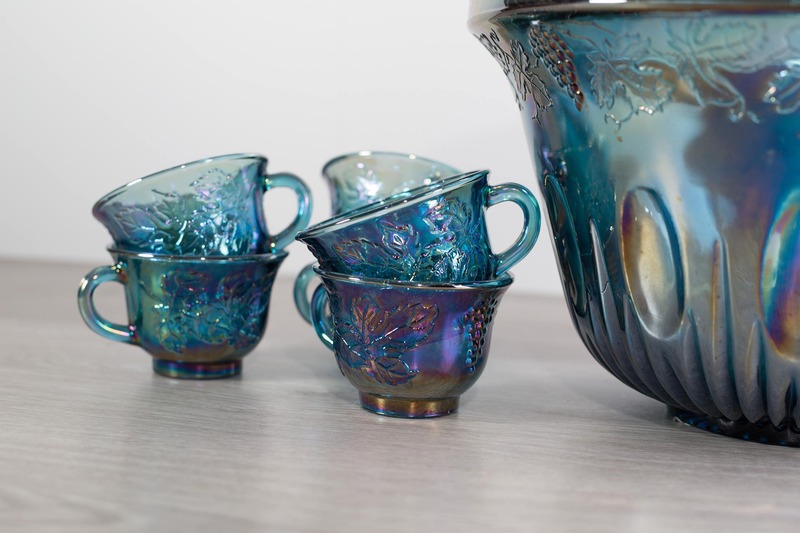 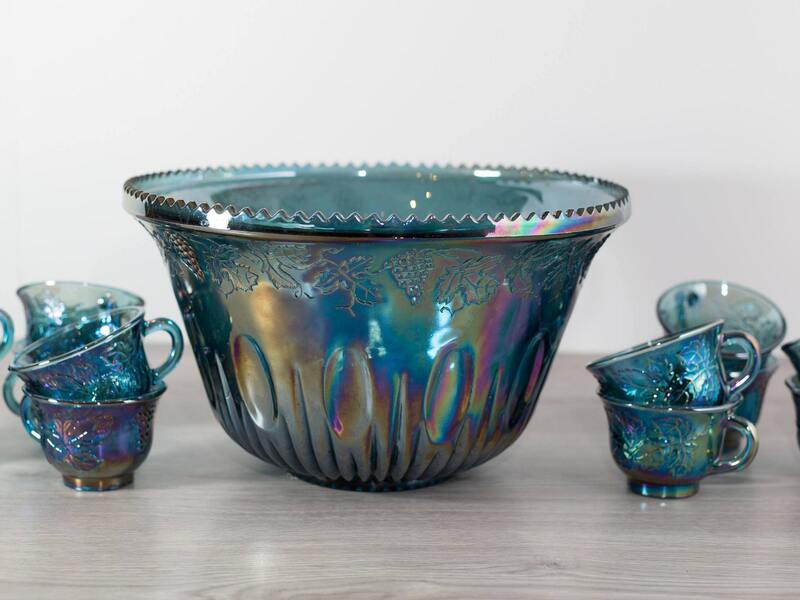 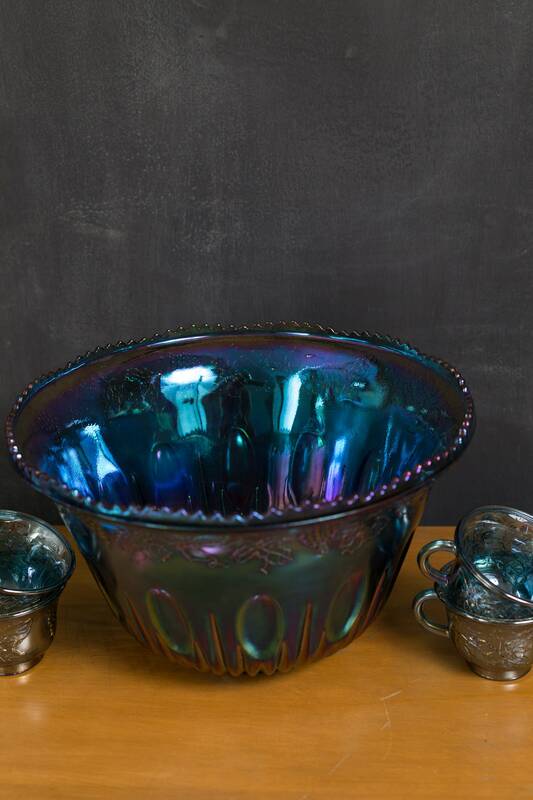 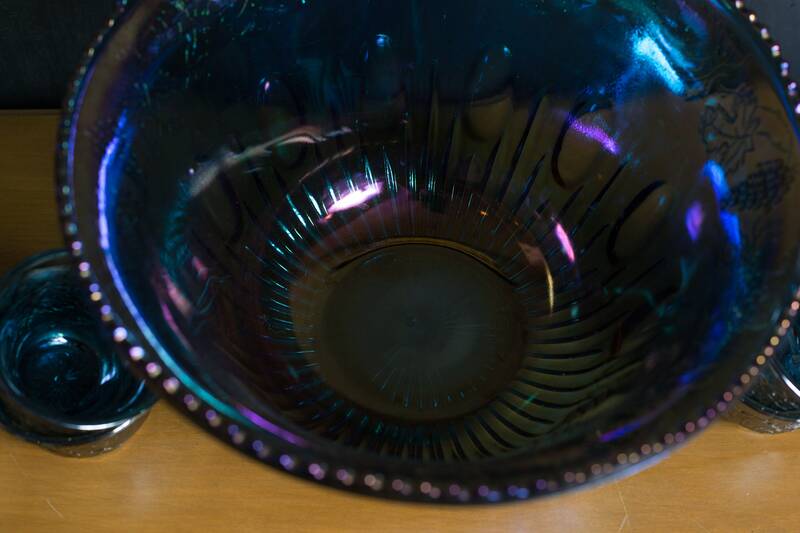 Add some punch to your Halloween party with this gorgeous iridescent blue/purple carnival glass punch bowl set. 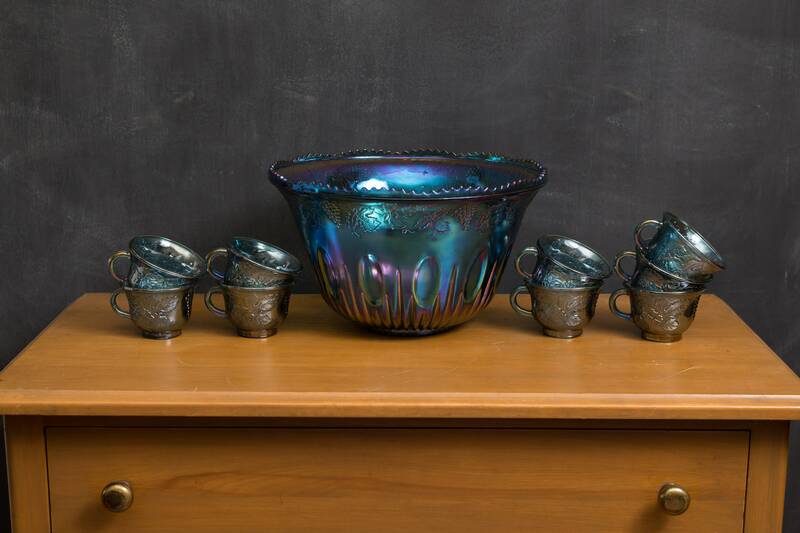 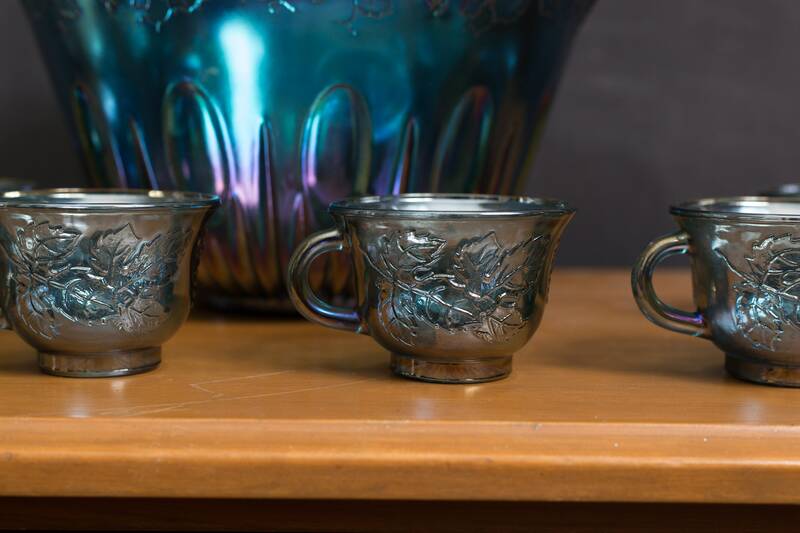 Includes large punch bowl and 9 cups. 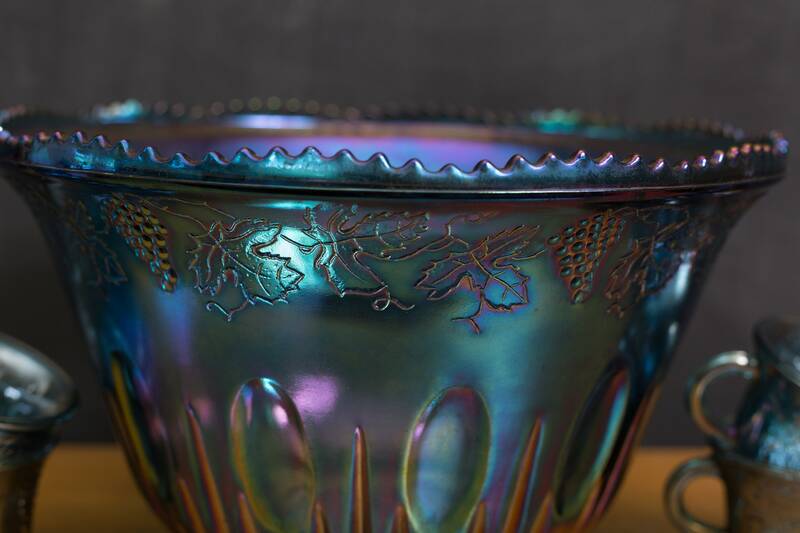 Made by Indiana Glass Company. 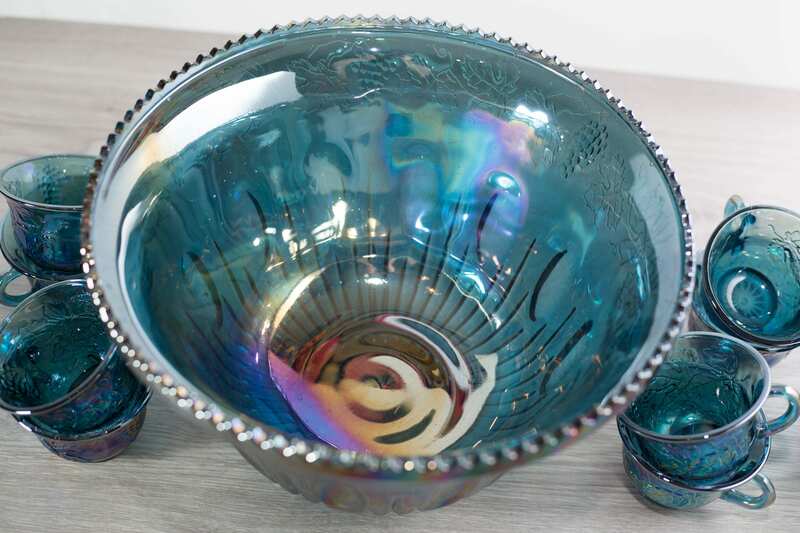 Large bowl measures 12" diameter x 7" height. 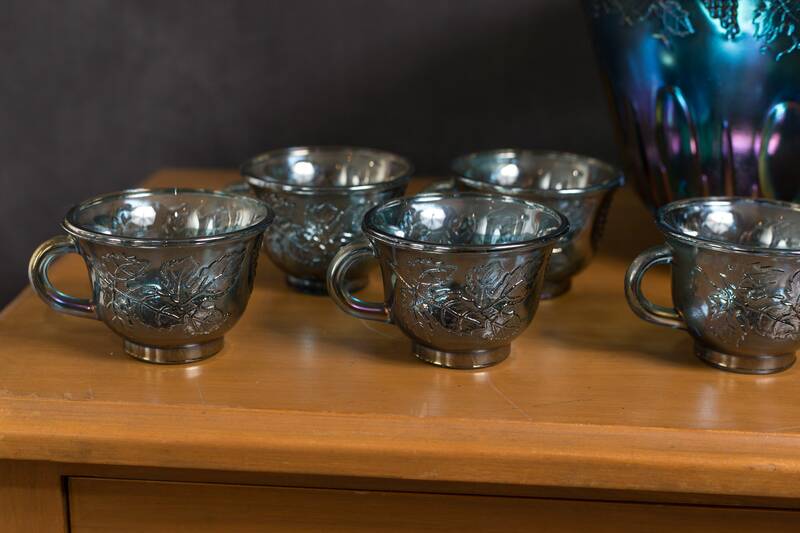 Excellent condition, no chips, cracks or scratches.